And became a novice of C, D, E, F, G, A notes. I finally realized how important you are, my finger. I still need to satisfy my empty stomach since it's been making noises the whole morning. I ought to make something easy. Also add a small pinch of salt to soften the onion. Add cubed tofu in the pan and keep cooking for about 3 minutes. Make sure there's no sauce mix chunks in the pan. The sauce has to be smooth. 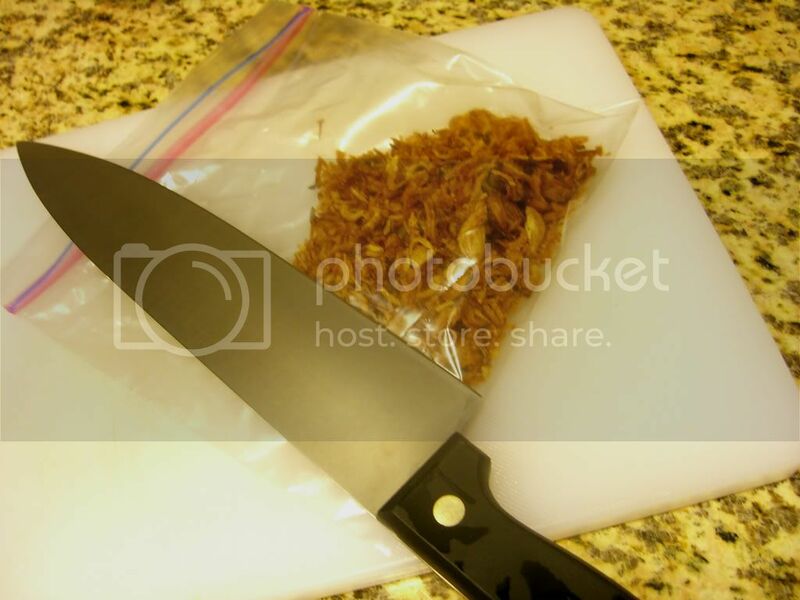 Toss in the smashed fried onion. Even a woman with blistered finger can make it. Go ahead and express your anger with the back of the knife. Ziploc is truly one of the greatest invention for the century. "100g Spicy curry sauce mix"
Did you make it or use a particular brand? I believe your curry mix works too. You took a beautiful picture of your melon meatballs and I wanted to know if I could use it and I will credit it to you. I make something very similar looking and the pictures did not come out good as I did not have the proper natural light. Please let me know if this is ok with you. Thank you for asking me first, you can use my picture as long as you give credit to it. 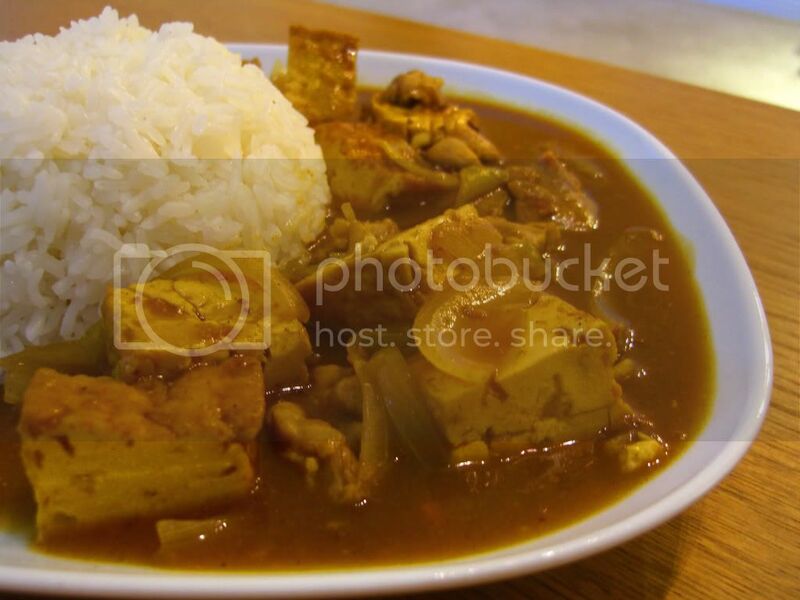 But I think this chicken and tofu curry picture is not as good though. But either way, you can use it!